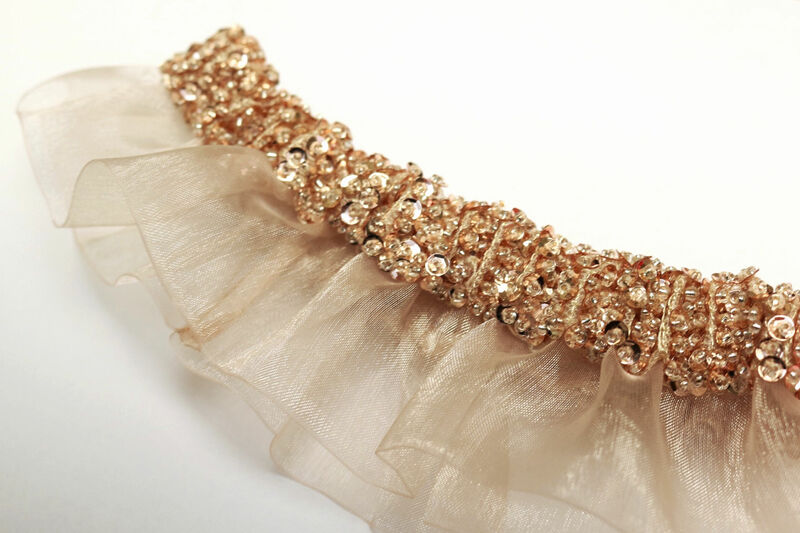 Rose gold sequin garter with organza ruffle. Copyright © 2019 Simply Charming. Powered by Miva.